Christ’s description of the coming Kingdom of God included an illustration of women grinding grain (Luke 17: 20-35). In response to a direct question from the Pharisees, Christ described how the kingdom of God would come. Christ said: “Two women will be grinding grain together; one will be taken and the other left” (Luke 17:35). Christ provided a similar teaching on signs of the end times on the Mount of Olives (Matthew chapter 24). In the Olivet Discourse, Christ added that two women would be grinding grain with a hand mill; one would be taken and the other left behind (Matthew 24:41). The interpretation of Christ’s remarks is that a) his return to earth will be unexpected and that b) no matter how close two individuals, there is no guarantee they will have the same destiny. In the Bible, grains mentioned included wheat, barley, spelt, and millet. Wheat, barley, and millet were described in earlier chapters of this book. The grain spelt is arguably the grain that the women were grinding. Spelt was grown throughout the ancient world. In the Bible, it was first mentioned in the Seventh Plague that afflicted the Egyptians (Exodus 9:13-35). Writing from Jerusalem, Isaiah described the farmer planting spelt in the field (Isaiah 28:25). God directed Ezekiel who lived in Babylon to make bread from spelt as well as other grains and vegetables (Ezekiel 4:9). In Gardening with Biblical Plants, James (1984) claimed that bread from spelt was considered superior to bread from barley. Although spelt is not listed in Israeli plant databases it was a stable grain crop in biblical times. The Biblical spelt was Triticum spelta also known as Triticum aestivum subspecies (variety) spelta. Despite past confusion, spelt is not emmer wheat; the two grains have different genetic structures. Spelt is winter hardy and planted in the fall for spring harvest. Spelt may yield more useable grain than wheat when both are grown at higher elevations. In biblical times, the hull was removed by hand, leaving the spelt kernel to be ground into flour. Women ground the spelt kernel into flour using a hand mill or a mortar and pestle. When stored in the husk, spelt remains fresh for a longer period of time than other grains. The spelt husk protects the kernel from pollutants and insects both in the field and during storage. 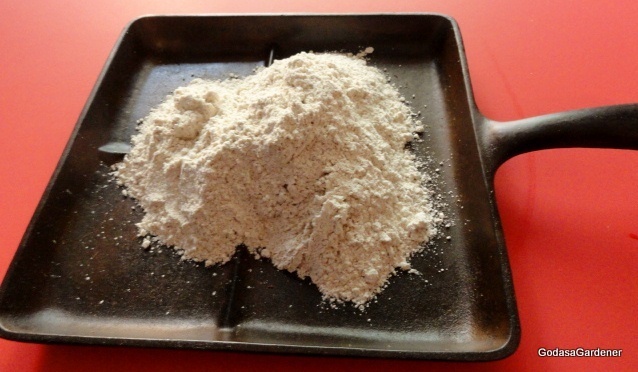 The Hebrew word for spelt is kuççemeth derived from kâçam which means bristle (Strong, 2010). When a person bristles, they stand up or stick out. Christ told the Pharisees that as the people of Noah and Lot’s times did not expect destruction, neither will people expect Christ to return. Noah and Lot stood out from the people of their environments because of their righteousness (2 Peter 2:5-7). Similarly, Christ’s followers stick out from the people on earth because of their righteousness. When Christ returns, his followers will be taken from the world. Christians will be remembered or “stick out” from individuals left in the world, because they will be absent.